Significant changes are required to ensure costs to compete in Supercars don’t spiral out of control, according to Garry Rogers Motorsport team director Barry Rogers. The championship is set to shrink to 24 cars next season with two of the series’ biggest teams Triple Eight and Tickford Racing handing back Racing Entitlement Contracts. It has proved to be an increasingly tough market for teams and drivers to secure sponsorship with sizeable multi-million dollar budgets required to go racing in Australia’s premier series. Speedcafe.com understands that only a small minority of teams are profitable in the current climate. While unconcerned around his team’s current finances following the loss of long-term title sponsors Wilson Security, Rogers believes serious action is needed to safeguard the championship’s future for teams. “There’s no doubt that along pit lane there’ll be many many teams from a financial point of view that certainly costs would be exceeding revenue so something has got to give at some stage,” Rogers told Speedcafe.com. “So I think fairly significant changes need to be made. “If it (a big naming rights sponsor) didn’t come along, are we okay financially to do what we do? “Thankfully we are, but would we continue to do what we do forever if you couldn’t attract that right commercial partner, the answer would be no. “When (manufacturer) backing isn’t around, you’ve either got to increase your income somehow or decrease your costs and just by decreasing costs isn’t necessarily the right way to go either because it really just extends out the time it takes everyone to fall off the cliff. “I would think there are some big ticket items and the biggest one to think of are the engines and things like that, if some big costs could be cut out of those without again affecting the show in any way. 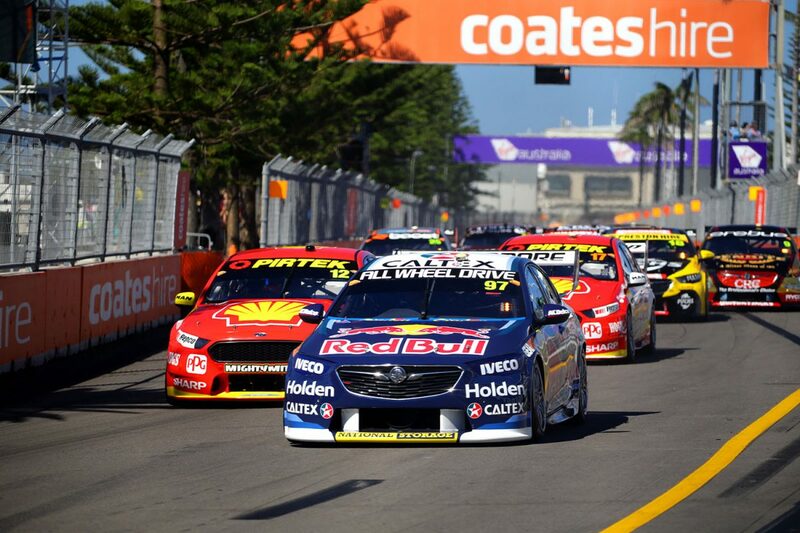 Supercars has identified that costs need to be saved and is beginning to address the issue with a series of rule changes mooted which aim to simplify the sport. Next season will see the introduction of a new Xtrac transaxle, which will cost teams an initial outlay but is expected to be far more cost effective than its predecessor, which required significant resource to service. It is also expected that the costly and technical twin spring dampers will be banned from next season, which again will act as a cost saving. Supercars’ new head of motorsport Adrian Burgess told Speedcafe.com earlier this year that ensuring the category’s sustainability is among his key objectives. “We want to improve the size of the grid and make it easier for teams to carry on year on year. It is a complex equation to make it sustainable for everybody; that is high up on the agenda,” Burgess told Speedcafe.com. Aware of the changes set to be introduced for next year, Rogers says Supercars is taking a step in the right direction. “They (Supercars) are moving in the right areas, definitely,” he added. “Going back to the single, linear spring dampers is probably heading in the right direction with regards to simplifying things which hopefully lessens the amount of staff and things you need. “Making that one single change by itself probably isn’t a big deal but I think those other changes in the winds which won’t affect the show at all, the fans won’t have a clue whether the tails got twin springs, single spring, it wouldn’t make a difference to them. GRM is set to continue to field Garth Tander and James Golding next season alongside a two car Super2 campaign. The squad will be busy in the off season having announced a technical tie-up with the new S5000 series which will see the operation build the V8 powered single seaters.